234 pages | 97 B/W Illus. 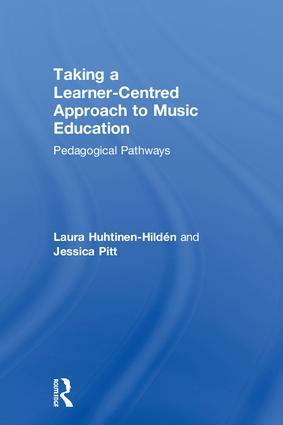 Adopting a fresh approach to the assumptions and concepts which underlie musical learning, Taking a Learner-Centred Approach to Music Education provides comprehensive guidance on professional and pedagogical aspects of learner-centred practice. the music pedagogue as a sensitive and creative instrument. Taking a Learner-Centred Approach to Music Education will deepen understanding, facilitate reflection and inspire new approaches to teaching in the field of music. It is essential reading for current and future practitioners involved in music education, early childhood music practice, community music, music therapy and special needs education. Dr Laura Huhtinen-Hildén is Senior Lecturer, Researcher and Head of Early Childhood Music Education and Community Music at Metropolia University of Applied Sciences, Finland. Dr Jessica Pitt is a researcher and early childhood music education consultant. She leads the MA in early years music at CREC (Centre for Research in Early Childhood), UK.